Even the best motorcycle riders in the world use rider coaches. Valentino Rossi, the most successful active road racer in the world, has used a coach. At the national level, even the best pro racers — maybe especially the best ones — are working with a coach of some kind. So how do the most skilled riders work with a coach and what do they get from it? And what can ordinary riders like the rest of us learn from it? I asked some questions in the MotoAmerica paddock to find out. Ken Hill keeps an eye on the scoring monitors to see how his riders are doing during a practice session. Photo by Lance Oliver. One of the men who epitomize the concept of rider coach in MotoAmerica today is Ken Hill. His own route into motorcycling was unorthodox, and that shaped his learning curve back then and his teaching approach now. Hill never rode a motorcycle until he was 30. "I wanted to race cars and I couldn't afford to race cars so I thought, yeah, I'll do something cheap. I'll race motorcycles," he said. "Not the brightest thing in the world." Starting late and with no riding experience as a kid, Hill had to learn fast. "I didn't have any natural talent. I didn't have any background." So he watched what the best riders did. "I basically had to decode what they were doing." He ran his first pro race at age 41, studied under Freddie Spencer and later was an instructor for Spencer's school. "Through that, I developed my communication skills, my methodology, how my curriculum works," Hill said. Ken Hill talks with 2018 MotoAmerica Supersport champion J.D. Beach, one of several professional racers he coaches, between practice sessions. Photo by Lance Oliver. Today, working with Rickdiculous Racing, Hill has worked with riders such as J.D. Beach, Hayden Gillim, Mathew Scholtz, Jake Lewis and Jason Aguilar. Beyond the paddock, Rickdiculous Racing also has its Rick School, a high-end, completely personalized program that provides one-on-one training for riders ranging from beginning street riders to professional racers trying to make a breakthrough. Then there are the three-day Rick Development Camps, run three times a year. Hill says the camp will turn an amateur racer into a professional athlete. "We bring in people outside of the sport who are doing things at the sharp end of their disciplines," Hill said. "For instance, we have a Yale economics professor. We have a Top Gun pilot. We have the number one special forces trainer. We have a three-star Michelin chef. How you do anything is how you do everything." The goal is to learn from "people who are doing things at the very sharp end of what they do for a living, their habits and techniques." Too often, professional motorcycle racers aren't treated like those experts in other fields, Hill said. "It's still the '70s, romantic, you've got to man up to be a good rider or you're born with it. And that's just not the case. You look at, say, our economics professor. He wasn't born an economics professor. He was trained to be an economics professor. Our Top Gun pilot was not born a Top Gun pilot. He was trained to be a Top Gun pilot. So what we get these people to embrace is that there is a methodology, there is a process to get to the level of where you want to be." The three components to that processs: craft and technique; physical fitness; mental fitness. Those are all covered in detail long before race day. Once he gets to the track, Hill focuses on the specific needs of each racer. Supersport contender Hayden Gillim is one of the racers who works with rider coach Ken Hill (left). Photo by Lance Oliver. Hayden Gillim, for example, said he mostly relies on Hill for help with racecraft and physical technique and says Hill has been a great help — once Gillim got over his initial doubts. "At first I was skeptical about having a riding coach," said Gillim. "Who is this guy? It's not Miguel Duhamel or Josh Hayes or anybody like that. But he's so technical about everything and has really studied everything a lot. It's helped a ton." "My riding style has changed a lot," Gillim added. "The way I use my body on the bike and the way I let the bike kind of use me. We are constantly working on my riding style, working on stuff that makes riding easier and not as energy-consuming." On the mental side, "If something happens on track, the first thing I hear is his voice, saying whatever advice he has got for me. Because he has told me advice for every single part of racing." Gillim credits Hill for his improvement over the past two years of working together, leading to Gillim's second place in the 2018 Supersport season. Jake Zemke has gone from being Cameron Beaubier's agent to also being a rider coach and the kind of friend Cam can call any time, day or night, if something is bothering him. Photo by Lance Oliver. When Jake Zemke retired from Superbike racing in 2014, he began working with the Wasserman agency that had represented him. One of the first riders Zemke represented was Cameron Beaubier, now a three-time MotoAmerica Motul Superbike champion. In that short time, their relationship has evolved far beyond manager and client. "I call it a full-service client," Zemke said. "He's getting anything and everything. From a management side, part of our job is not just to help them with their contracts and negotiate their deals for them, but also, my job as a manager is to make his life as easy as possible so the only thing he has to worry about is his training and racing. Any type of advice, or life coaching. It's almost like having a big brother. If he has to call me at two in the morning, I'll answer the phone, no matter what." Because Zemke has experience as a rider at the same level, he can also help Beaubier with racecraft and riding technique, as well as contracts. Former Superbike racer Jake Zemke is now both the agent and a rider coach for three-time MotoAmerica Motul Superbike champion Cameron Beaubier. During an early practice session, he finds a vantage point above Sonoma Raceway to keep an eye on his client. Photo by Lance Oliver. "Sometimes I'll see stuff when he's on the track and I'll just mention it to him," Zemke explained. "Realistically, I'm not telling him how to do anything. I'm just like, 'Hey, try this line' or 'Try to change what you're doing here.' Most of the time it helps him and every once in a while he tells me, 'Yeah, that doesn't seem to do anything for me.' So scratch that one off." In 2015 at Road Atlanta, it started raining. Zemke saw that his rider was upset and asked why. Zemke recounts the conversation: "'I hate racing in the rain.' Why? 'Well, I crashed in every rain race last year.' OK. Let's figure this out. I was pretty decent in the rain so I shared some of the things I'd figured out, some techniques, just my experience, basically. He went on and, up until this year, he won every rain race we had, I think." Beaubier said that mental side of coaching has been most valuable to him. "What I like about Jake is he's just kind of in the background and he's my calm," Beaubier said. "It sounds kind of funny saying that but he really is. When I get all worked up and stressed out, he has a good way of calming me down. 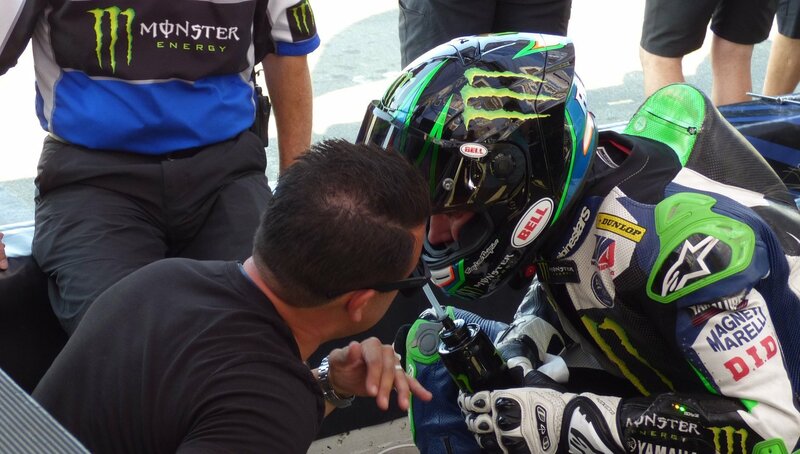 I feel like he has a good understanding of my riding style and what makes me tick and what to look for on the track. I'm super lucky to have him in my corner. We've become super good friends over the last few years. That's something I'd want the rest of my career." You don't have to pay for an expensive school to get some coaching. Even at most ordinary track days, control riders are happy to work with you to improve your techniques and the level of instruction is usually quite good. Photo by Lance Oliver. Step one is admitting you don't know it all. I've run into plenty of riders who say something like, "I've been riding for 20 years. I don't need any coaching or a track day." Hayden Gillim believes he has benefited greatly from coaching. Think you're a better rider than Hayden Gillim? If so, do me a favor and take your liter bike to a track day anywhere MotoAmerica races and compare your best lap time to Gillim's lap times on a 600. If you're within 15 seconds a lap, send me an e-mail and I'll congratulate you. Then consider how much coaching you'd need to take 15 seconds off your best lap time. The fact is, everyone has something to learn and has room to improve. The ones who don't believe that are the ones who don't learn and don't improve. Riding is mostly mental, and mostly about preparation and focus. This is probably the most important point for those of us who mainly ride on the street, where it's more about enjoying and surviving the ride than going faster. One technique Hill uses with his racers is to set "triggers." The trigger could be almost anything: the moment the rider snaps closed the helmet visor, standing up and stretching on the footpegs on the warmup lap, passing a certain point on the track on the warmup lap. Whatever it is, that trigger switches the rider mentally into 100 percent focus on the race. Any thoughts of the autograph session or doubts about the best suspension settings or anything else are banished. Street riders can benefit from setting triggers that focus them entirely on the ride, whether it's pressing the starter button, riding past the curb at the end of the driveway or whatever. From that point, all thoughts of problems at work or worries at home are banished. With that focus in place, the other half of the equation is preparation. The time to think about what you'll do if a car turns left in front of you, or if you're sitting at the red light and the car behind you isn't stopping, is long before the moment happens. You can get coaching on this, from courses such as the Stayin Safe program I've written about before. The first time I took that course, I thought I was a pretty aware street rider, but I learned there was another whole level of awareness and focus I didn't even know I could achieve. The visual scanning techniques needed on the street are related to the visual techniques racers use on a track, but they are much broader to include all the variables and hazards of street riding. If you find yourself having too many close calls on the street, then you probably have lots of room to improve in focus, mental preparation, scanning and awareness. Obviously, riders like Cameron Beaubier already know how to ride at an extremely high level. A coach may help with mental aspects or race strategy, rather than physical technique. Ordinary riders like the rest of us probably have more to learn in terms of the physical skills of riding, but the mental side is still important, too. Photo by Brian J. Nelson. Doing it better is more fun. In addition to coaching pro riders like Beaubier and Nick McFadden, Zemke also works with ordinary track day riders. And he actually finds that kind of coaching very gratifying, he said. Many skilled track day riders will hit a plateau and stop improving, Zemke says. Then, if they try to push harder on their own to keep going faster, they end up frustrated at the lack of improvement or start crashing more. In some cases, they lose the joy of riding, Zemke said. 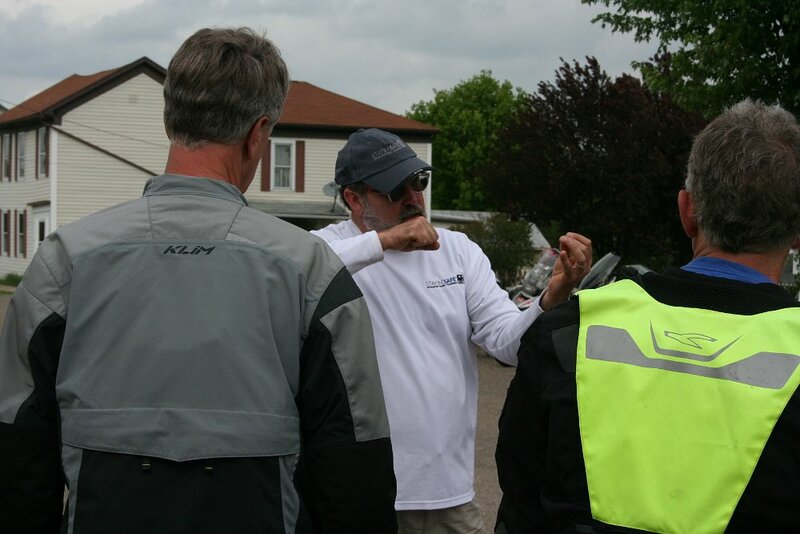 Often, a little instruction can show those riders the way forward, allowing them to keep improving and enjoy the sport. One of the basic sources of human happiness is the satisfaction of doing something well. Wherever you ride — on the track, on the street, in the dirt — motorcycling is fun, but like any other task it is more enjoyable when we also get a feeling of accomplishment from it. When we're riding, that positive feeling is inevitably accompanied by another positive of feeling safer. Even if you're not a professional riding for the Rickdiculous Racing team, there are plenty of ways you can get coaching, ranging in cost from free to about $2,000 for a day of one-on-one work with Hill or one of the others at the Rick School. There are plenty of courses you can take, books you can read, videos you can watch (vet the source!) and no-extra-cost coaching from control riders at most track days. Continuing education is a great thing.